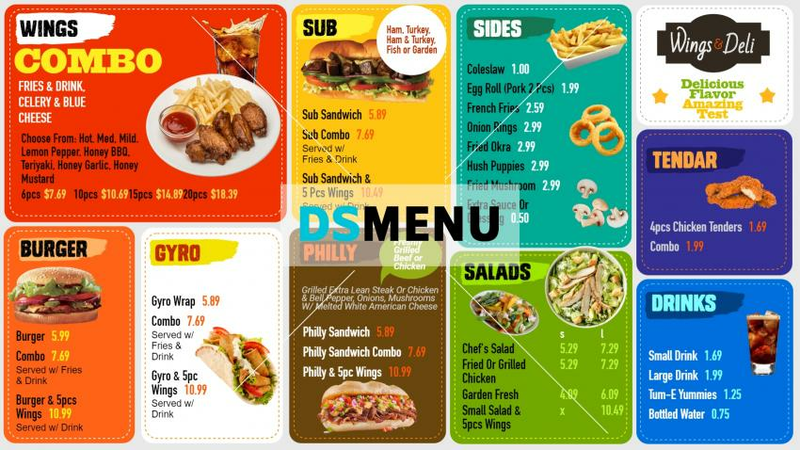 The menu board projects an intrinsic vibrancy and dynamism, induced by the attractive multi-colors. On a digital signage menu board, it will succeed in enticing customers of all age and income groups. The menu has a wide array of offerings; from chicken wings combo and burgers and gyros to sandwiches, sides, tenders and drinks. The restaurateur should utilize digital software advantages in promoting specific items at real-times.